Born March 28, 1925 in the village of Tatyanovka (now Shegarsky district, Tomsk region), becoming the second of six children in the family of Mikhail Petrovich (died in 1942) and Anna Akimovna (1902-1985) Smoktunovich. Honored Artist of the RSFSR (6/08/1964). People’s Artist of the RSFSR (1969). People’s Artist of the USSR (04.11.1974). Hero of Socialist Labor (8.06.1990). Member of the Great Patriotic War, participated in the battle on the Kursk Bulge, in the crossing of the Dnieper, the liberation of Kiev. Was in captivity, fled. I got to Berlin. He studied in the studio at the Krasnoyarsk Drama Theater named after A.S. Pushkin (1945-1946). In 1946-1954 he was an actor of the theaters of Norilsk, Makhachkala, Stalingrad. In 1952 he played in the Grozny Russian Drama Theater. M. Yu. Lermontov. Since 1954 – an actor at the Lenin Komsomol Theater in Moscow. Since 1955 – the actor of the Theater-studio of the actor and film studio Mosfilm. In 1957-1960, he was an actor of the Leningrad ABDT named after Gorky. In 1972-1976 he was an actor of the Academic Maly Theater. Since 1976 – an actor of the Moscow Art Theater named after Gorky (now the Moscow Art Theater named after AP Chekhov). At the Leningrad Television Studio, he staged a television show “Winter of Our Alarm”. I read the author’s texts for gaming and documentary films, worked on radio and television. On the radio Innokenty Smoktunovsky as a reader wrote down the chapters from the novel by I. A. Goncharov “Oblomov”, from “Idiot” by F. M. Dostoevsky and “Don Quixote” by M. Cervantes, excerpts from “Eugene Onegin” and “Boris Godunov” A. S. Pushkin; completely recorded the tales of Alexander Pushkin and his novella The Captain’s Daughter and The Snowstorm, Chekhov’s novel The Black Monk, the tales of G. Kh. Andersen, the stories of Ivan Turgenev, G. Maupassant, K Paustovsky, Akutagawa and G. Böll, as well as the poems of F. Schiller, R. Rilke, B. Pasternak, A. T. Twardowski. The author of the books “Time of Good Hope” (1979) and “Be!” (1999). Innokenty Smoktunovsky died from life on the night of August 3, 1994 after the fourth heart attack, being treated in a Moscow region near Herzen in the city of Kubinka, Odintsovo district, Moscow region. The actor was buried at the Novodevichy Cemetery in Moscow (plot No. 10, row No. 8, place No. 12). In honor of IM. Smoktunovsky was named one of the minor planets (planet No. 4926). Smoktunovsky first married in 1950 with actress Rimma Bykova (1926-2008). The newlyweds worked in Makhachkala, in the Dagestan Russian Theater. Two years later, Bykova was offered a job in the Stalingrad Drama Theater. There she moved with her husband. However, relations with the main director Firs Shishigin from Smoktunovsky did not work out. Soon, the couple’s relationship broke down and they divorced. In 1955 Innokenty married a costume designer Sulamith Mikhailovna Kushnir. Son – Philip Innokentievich Smoktunovsky (born 1957) – translator of science fiction literature. Daughter – Maria Innokentievna Smoktunovskaya (born 1965) – ballerina, actress, employee of the Moscow Art Theater Museum. Granddaughter – actress Anastasia Filippovna Butskova (born 1982). Laureate of the Lenin Prize (1965, for his role in the film “Hamlet”). Award “Golden Board” of the magazine “Cinema Nuovo” for the best performance of the male role in the film “Hamlet” (Venice International Film Festival). Prize “Silver dish” for the best performance of the male role in the film “Hamlet” (1966, ICF in Panama). Best foreign actor of the year (England, 1965). Best actor of the year on the poll of the magazine “Soviet Screen (1965, 1966, 1970). Winner of the USSR SC diploma at the VKF in Leningrad (1964, Hamlet). Prize for the best performance of the male role at the IFF in Cartagena (Colombia) for his role in the film “Beware of the car” (1969). Prize for the best actor of the ICF in San Sebastian (1970) – for the main role in the film “Tchaikovsky”. 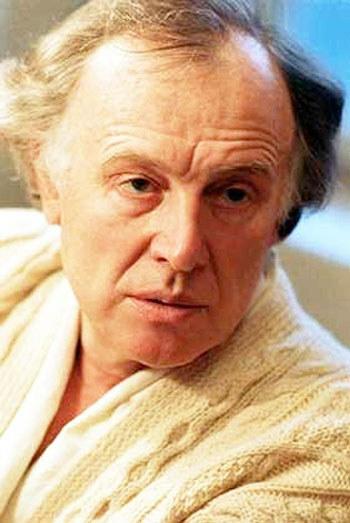 Laureate of the State Prize of the RSFSR named after the Vasilyev brothers (1971, for the role of Porfiry Petrovich in the film “Crime and Punishment”). The winner of the prize at the festival of Soviet films in Sorrento (1972, “Uncle Vanya”). Award “NIKA” in the nomination “Actor” for 1990 (“Lady Tailor”). Prize of the ICF author’s film in San Remo (1991) – for the best male role (“Lady Tailor”). Award “NIKA” in the nomination “The prize for the contribution to the cinema” for 1993. Three Orders of Lenin (…, 27.03.1985, 8.06.1990). Order of Friendship of Peoples. Order of the Patriotic War II degree (1985). Medal “For victory over Germany in the Great Patriotic War of 1941-1945.” and the subsequent jubilee medals connected with this date. Don’t wear seat belts lest you drown in your own ?